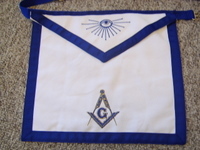 BLUE LODGE APRON, REGULAR MEMBER, CLOTH BODY WITH GROGRAIN RIBBON TRIM, ALL SEEING EYE ON FLAP,BLUE & GOLD SQUARE & COMPASS ON BIB, ADJUSTABLE BELT WITH SILVER HARDWARE. 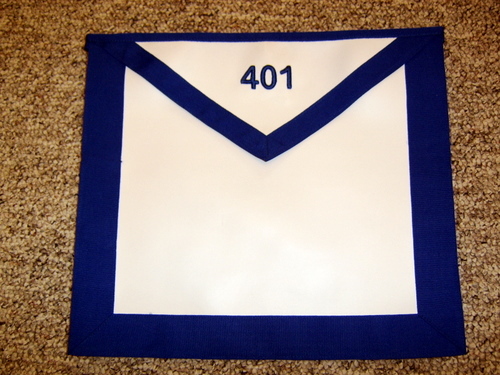 BLUE LODGE APRON. 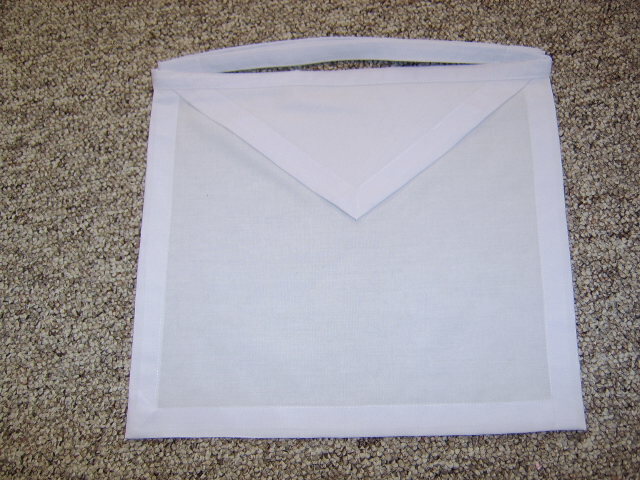 MINIMUM ORDER 12. 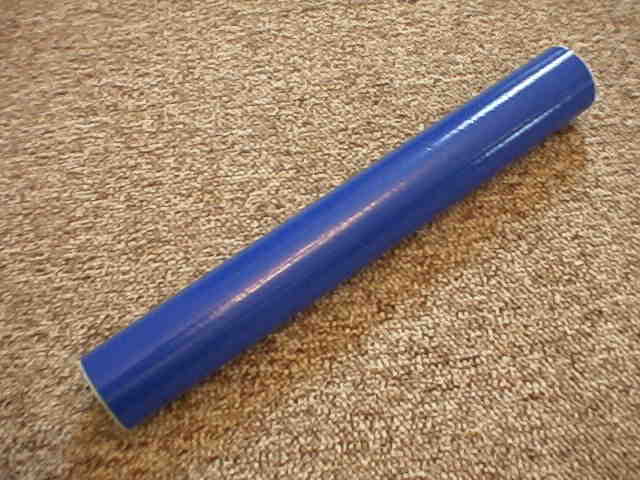 VINYL BODY WITH BLUE RIBBON TRIM. 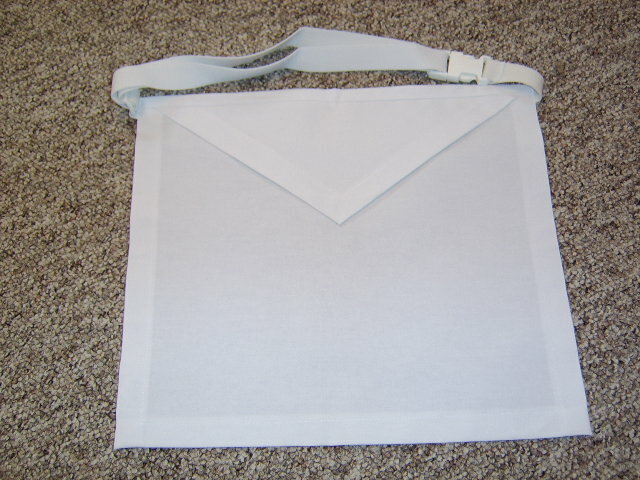 YOUR NUMBER EMBROIDERED ON FLAP WITH TAPE TIES. 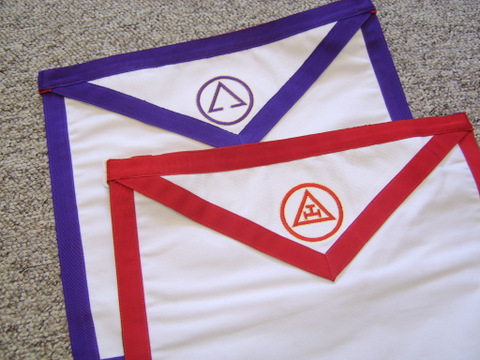 REVERSIBLE PAST HIGH PRIEST & PAST ILLUSTRIOUS MASTER APRON WITH WHITE ADJUSTABLE BELT. 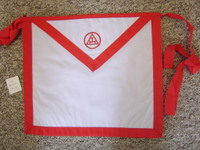 USED CHAPTER CANDIDATE APRON. 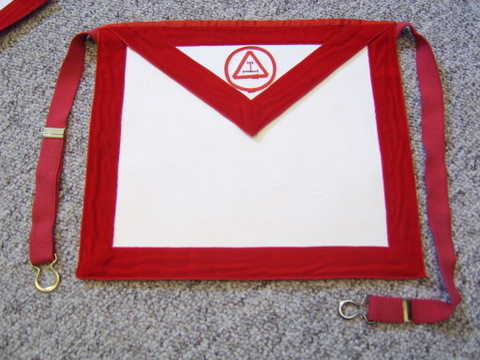 IMITATION LAMBSKIN BODY, RED VELVET TRIM, RED ELASTIC BELT. 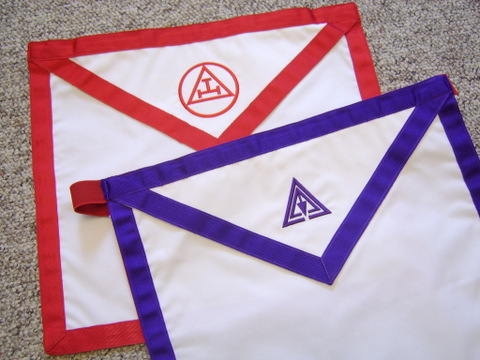 ONLY THREE AVAILABLE.